Now on to the recipe. 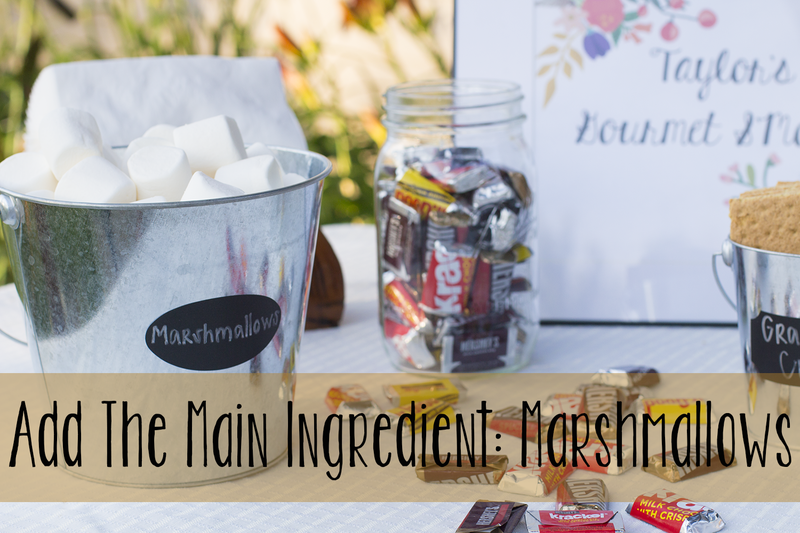 Most people use a simple recipe: marshmallows, Hershey's chocolate, and graham crackers. 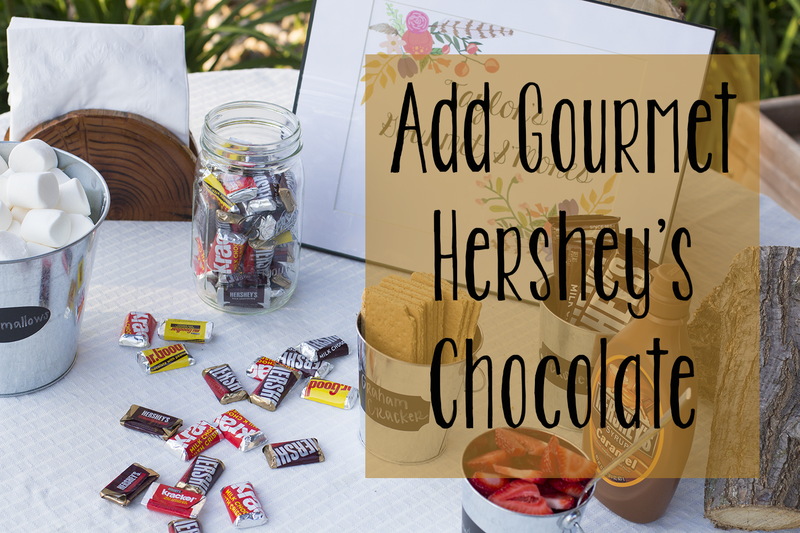 Don't get me wrong, I love going back to the basics but this gourmet recipe is the best! 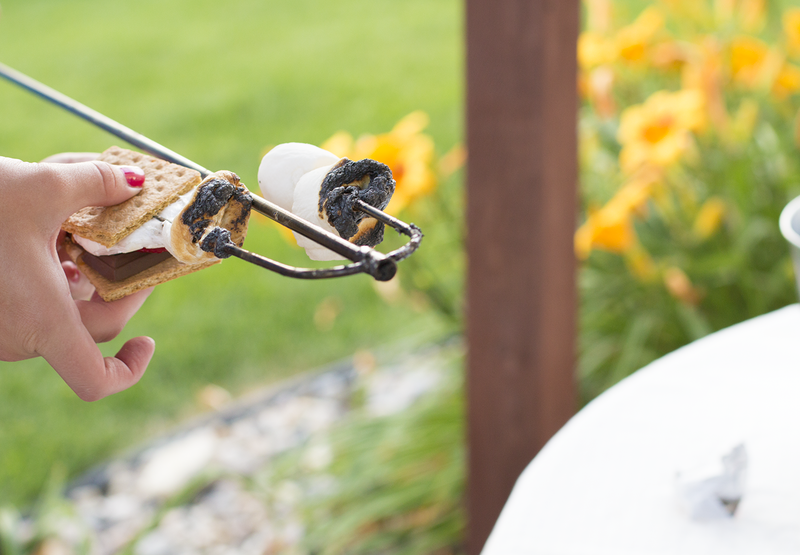 1 // Roast your Kraft's Jet Puffed Marshmallows until golden brown or until you like them. 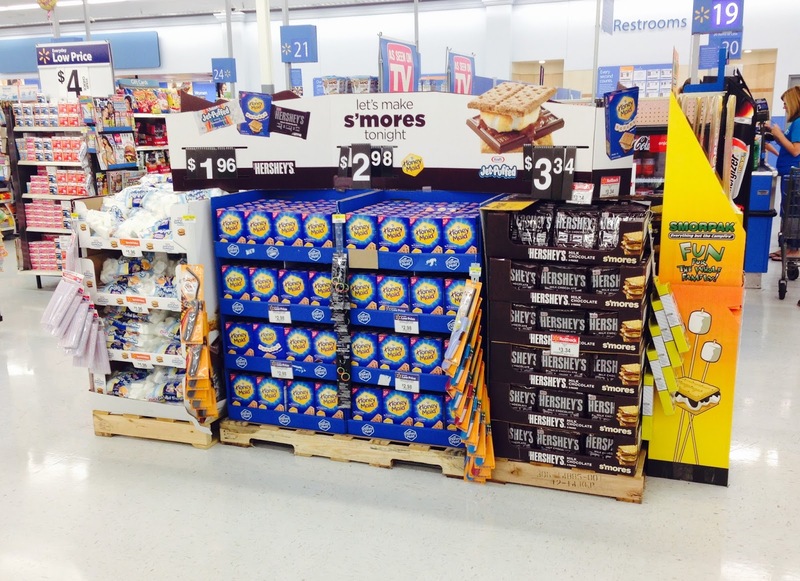 2 // Prepare your Honey Maid Graham Crackers with some Hershey's chocolate (I like the Krackel bar). 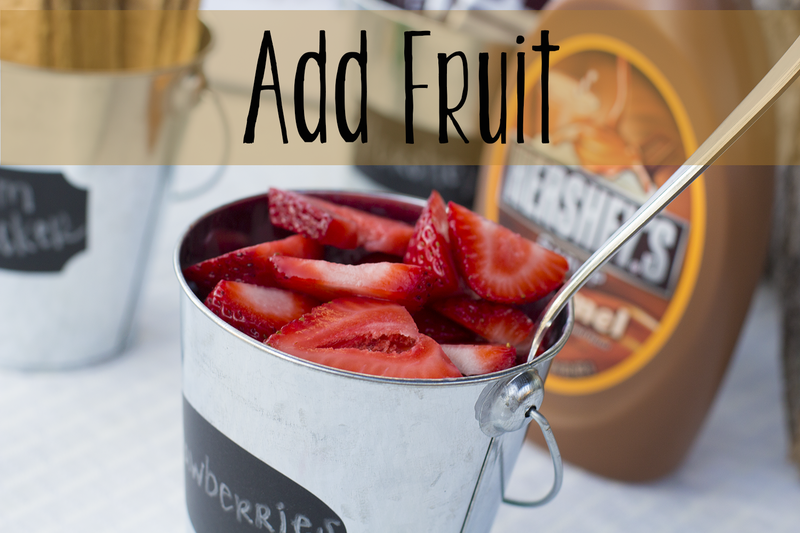 3 // Add fresh strawberries. 4 // Drizzle some Hershey's caramel on top. 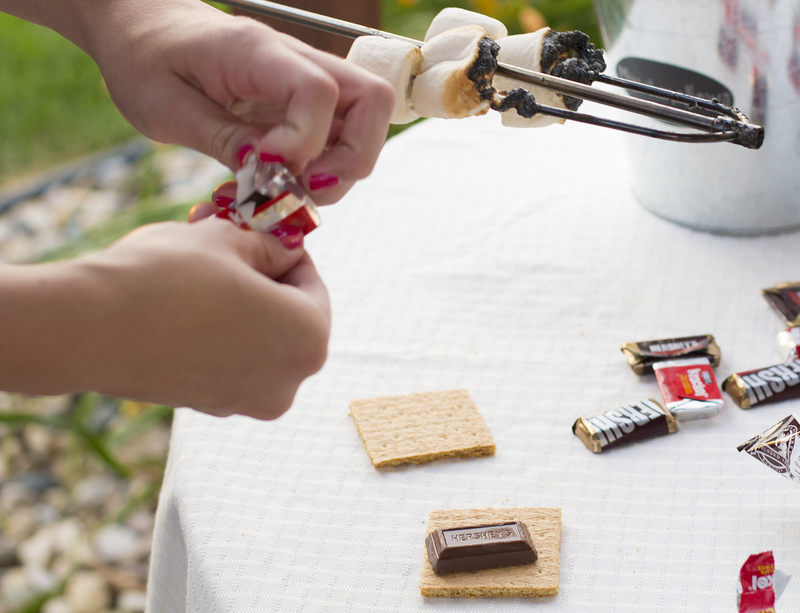 5 // Add your roasted marshmallows! 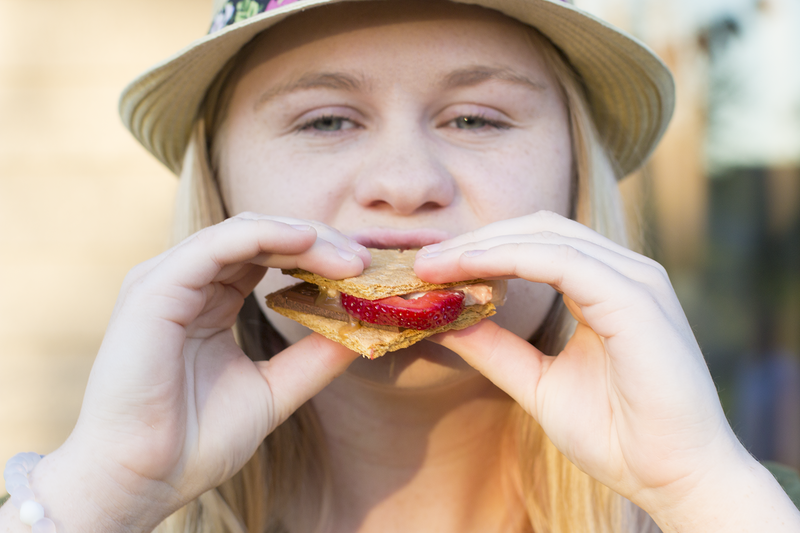 This is seriously the yummiest treat you will ever taste. 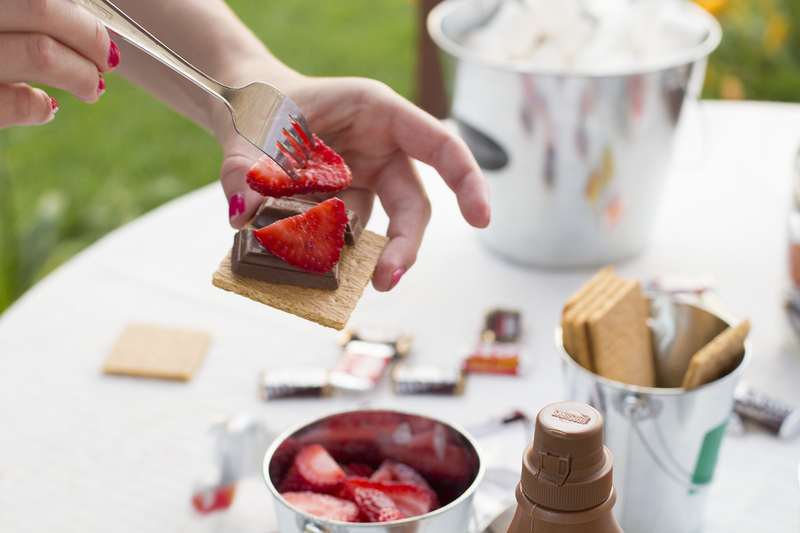 The gooey marshmallows, creamy caramel, sweet strawberries, and melted chocolate will have your tastebuds on overload. 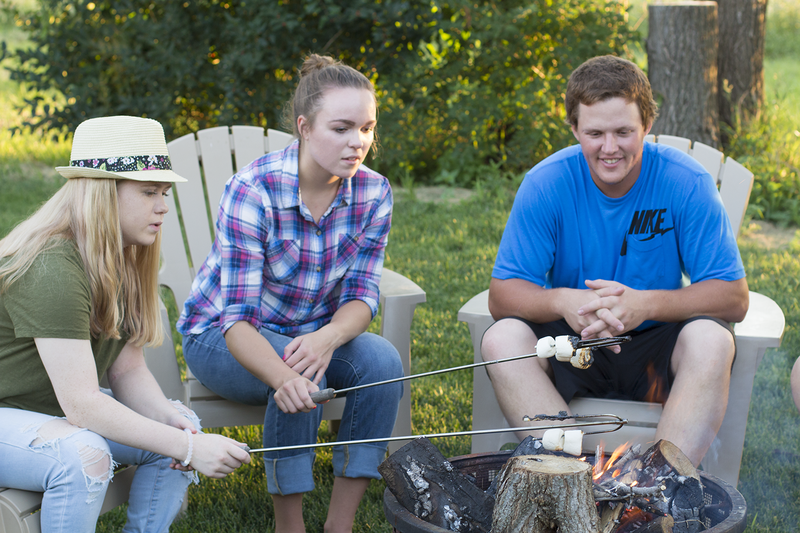 If South Dakotans know one thing, it's how to make s'mores. 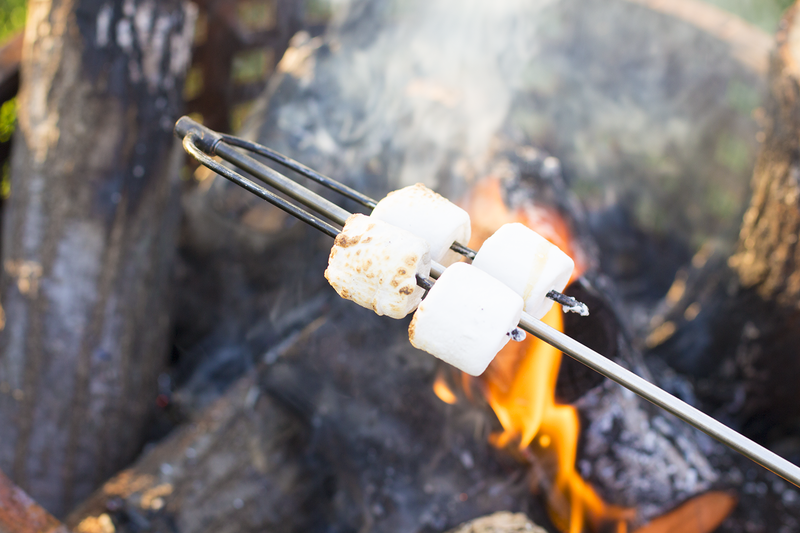 We were taught at an early age how to make fires, and there is nothing better than sitting around the fire with friends and family, roasting marshmallows, and eating the best summer snack there is. 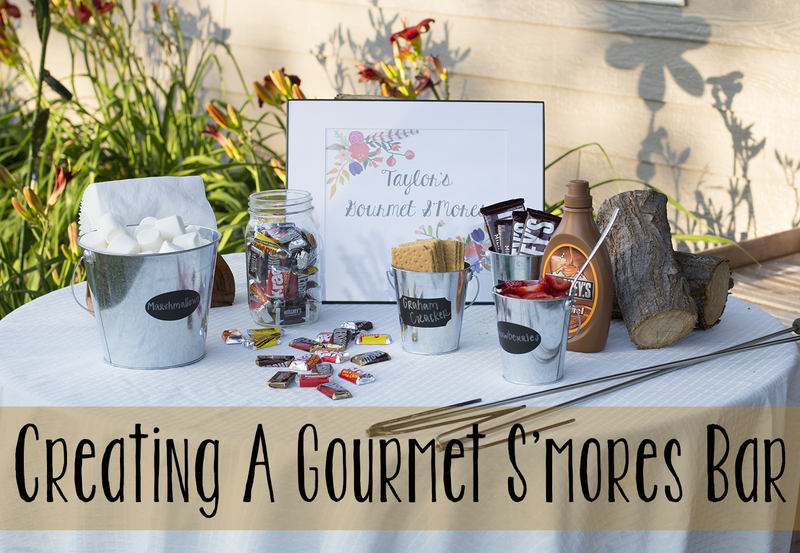 I am always a fan of trying something new and these gourmet s'mores were a huge hit! 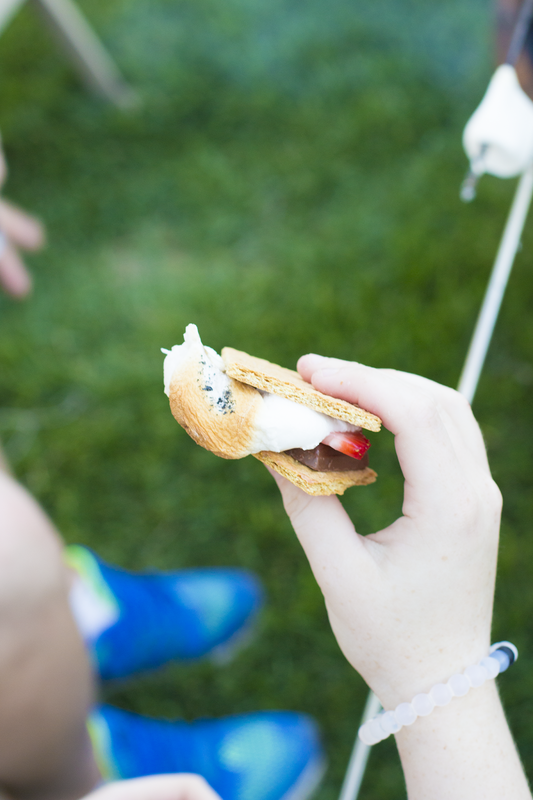 There is no doubt these were very messy s'mores…but the messier, the better:). 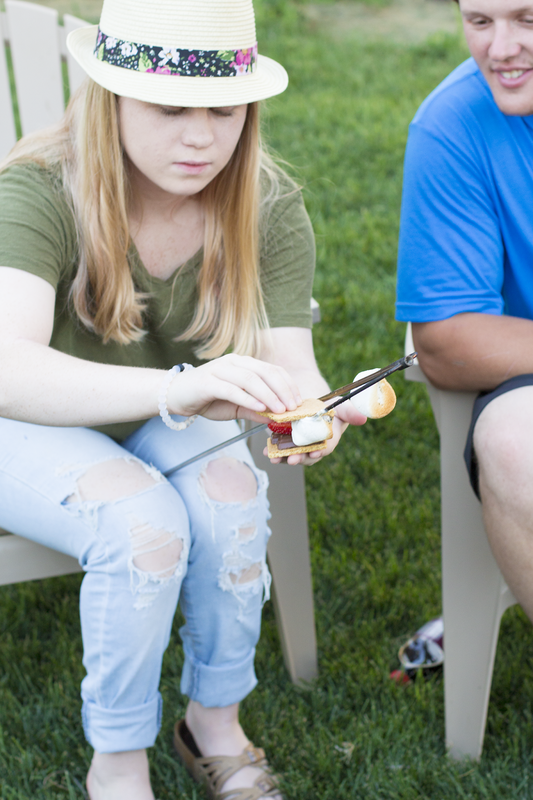 You don't need a campfire to make s'mores however…there are so many ways to achieve this delicious sweet treat without one. 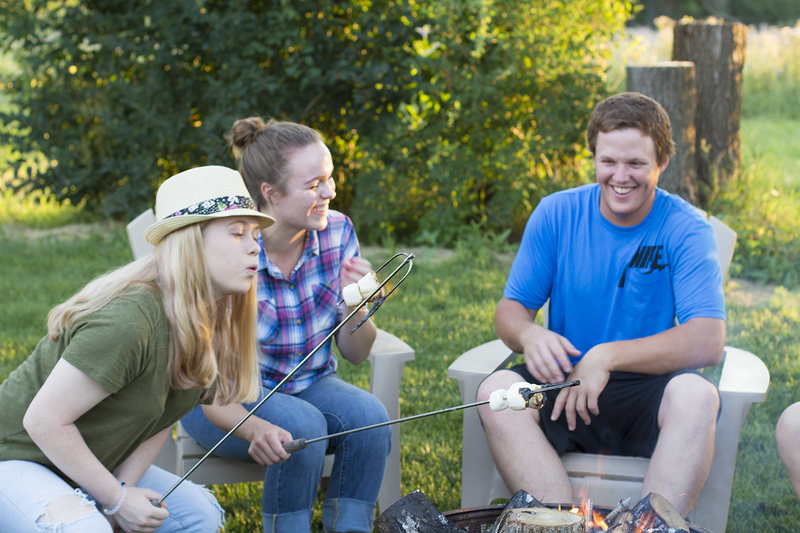 There are many times you will find a member of my family roasting marshmallows over the stovetop:). Does that not look delicious? My mouth is watering just looking at this. 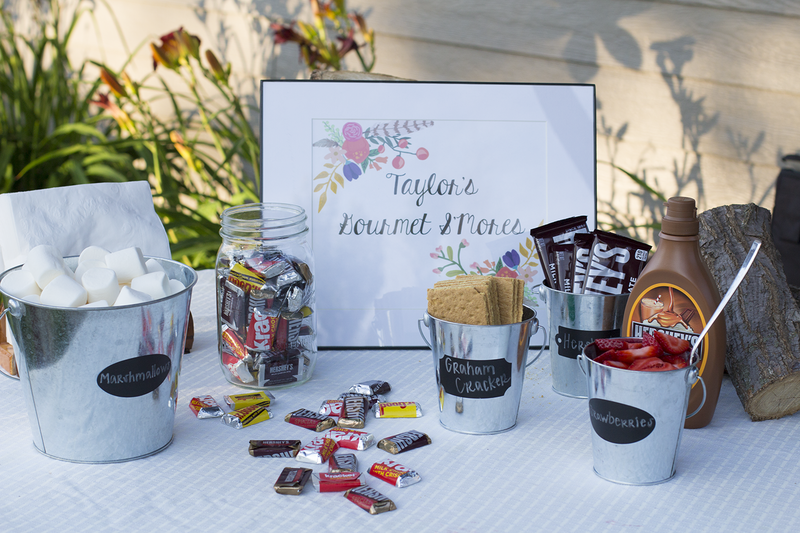 My sister (with the hat on) was definitely a fan of the strawberries and caramel…it added extra sweetness to an already sweet treat, the perfect combination! You can find all of the necessary products to make these delicious s'mores at your local Walmart. 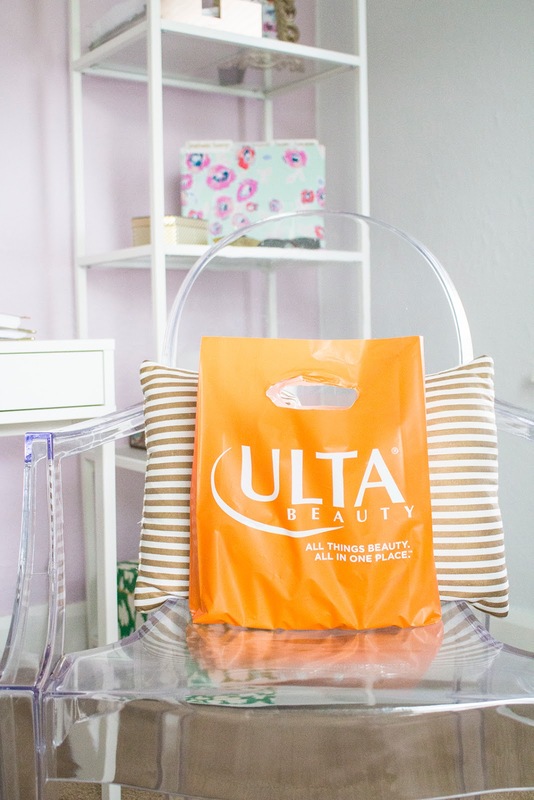 They even made this handy-dandy stand to help you find it easier…#winning. What are your plans for the evening? 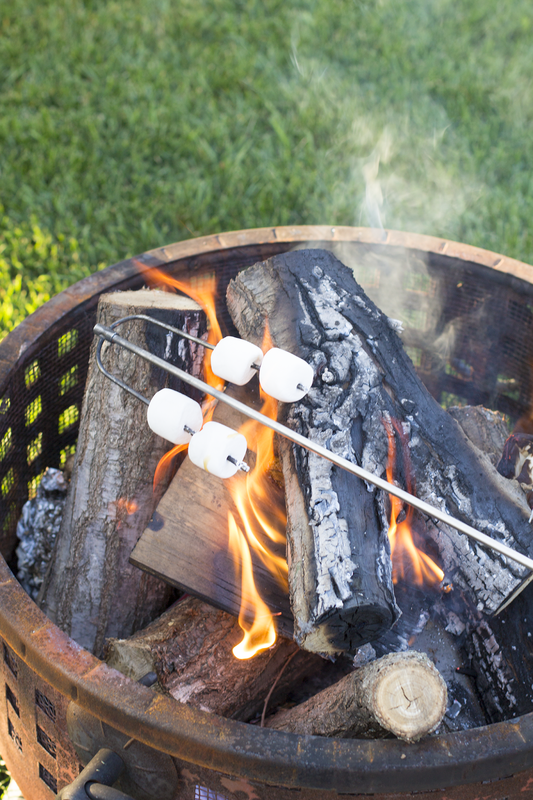 I'm thinking we should all make some s'mores (any night can be s'mores night). Who's with me? 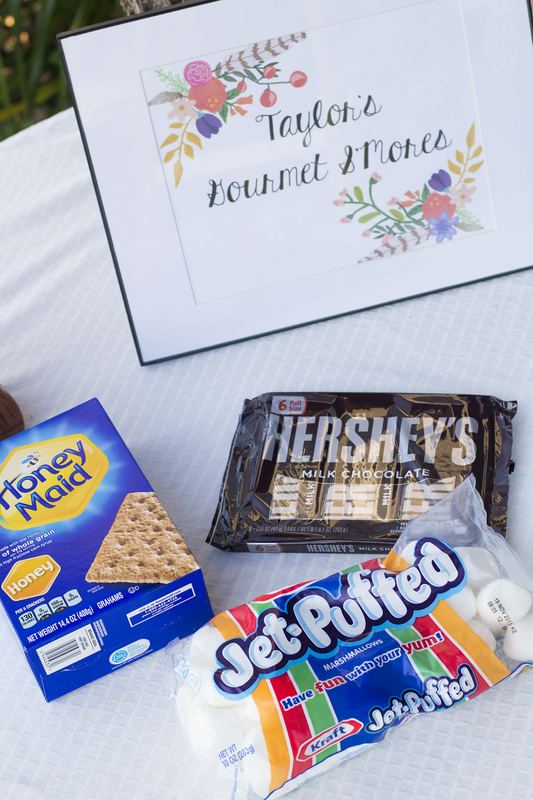 What's your favorite s'more recipe? Share below so I can try it!